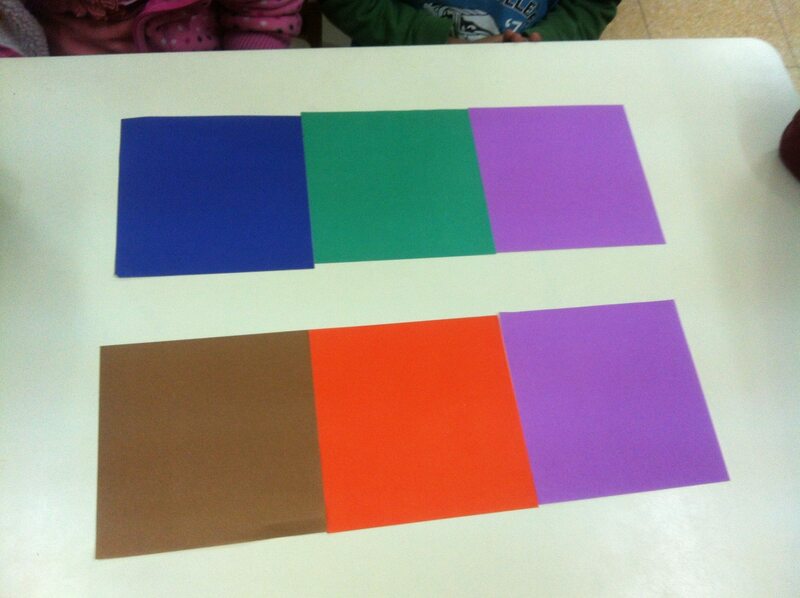 Each pupil should choose two sheets of origami paper. For this lesson the measuring tool should be available. Only Origami paper should be used in this lesson because of its flexibility and texture. The measuring tool is taught in the lesson ‘A Measuring Tool for Comparison of Lengths’. Which polygon is this sheet of paper? What are the properties of this polygon? Answer: The shape of the sheet is a polygon named square. The square is a polygon with 4 equal sides and 4 right-angles. 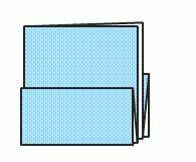 Folding instructions: Fold your sheet so that two opposite sides will meet. 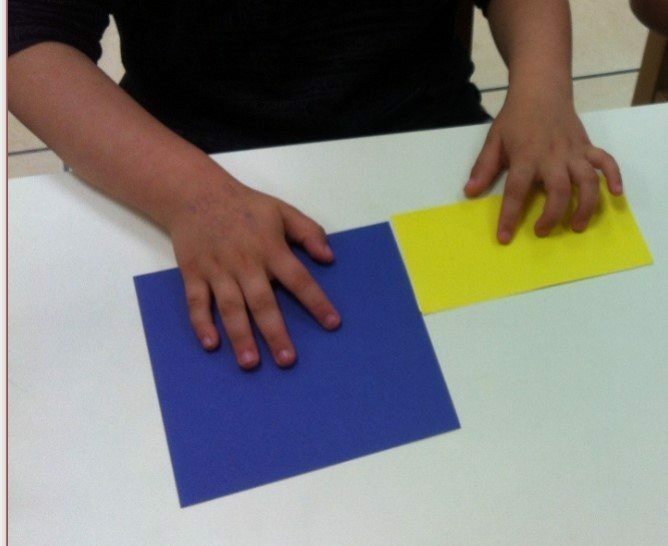 It is important that the pupils will arrange the fold in the correct place before pressing thier finger along the line of folding. The pupils must do this without teacher intervention. Can you identify the shape of the folded sheet? A polygon with four right angles. Place your two shapes (square and rectangle) on the table. 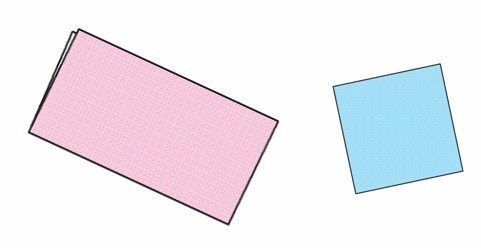 Which properties are the same in both polygons and which are different? Relate to the number of sides, vertices and lengths of the sides. The measuring tool can be used. It is also possible to relate to the angles of each polygon. both shapes are quadrilaterals. (square and rectangle). 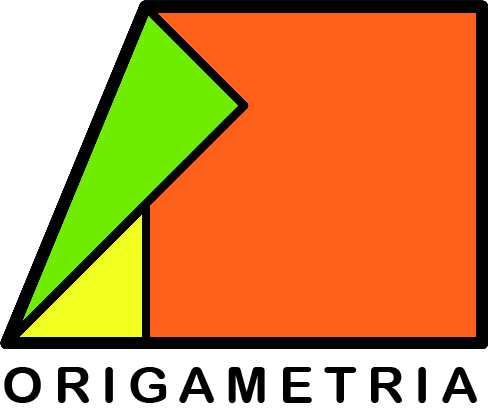 Both shapes have 4 right angles. the square has 4 sides of equal length, but with the rectangle, only opposite sides are equal in length. The pupils will find the same and different properties of the shapes by counting sides, vertices, lengths and angles, using the measuring tool. 1. A larger square using the rectangles 2. 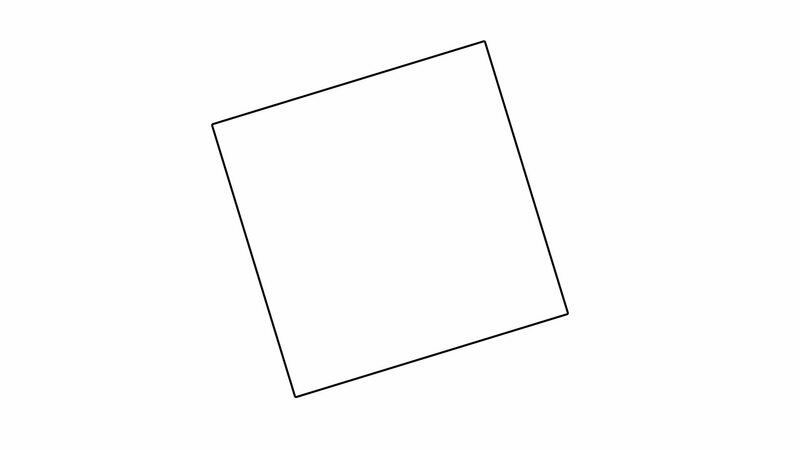 A larger rectangle using the squares. This is a trial and error activity. What are the different ways to compose larger squares and rectangles? On the colored side, fold your sheet so that two opposite sides will meet. Bring together the opposite longer sides of the rectangle as shown. At all stages the teacher demonstrates. Point our to the pupils the three stages in folding. 1. Listen to the instructions. 2. Make sure you understand the instruction. 3. Only then fold your sheet as instructed. The teacher demonstrates as many times as is necessary. Fold the shorter opposite sides, as shown. A discussion question: Which different quadrilaterals can you find in your folded shape? Explain. Open your shape in order to find a white rectangle. 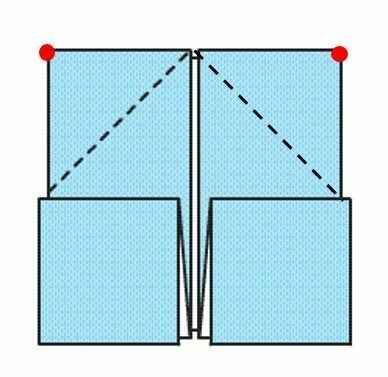 Fold the shorter sides of the rectangle to the line of symmetry, as shown. Fold each red vertex, as shown. Be careful to fold the correct squares! 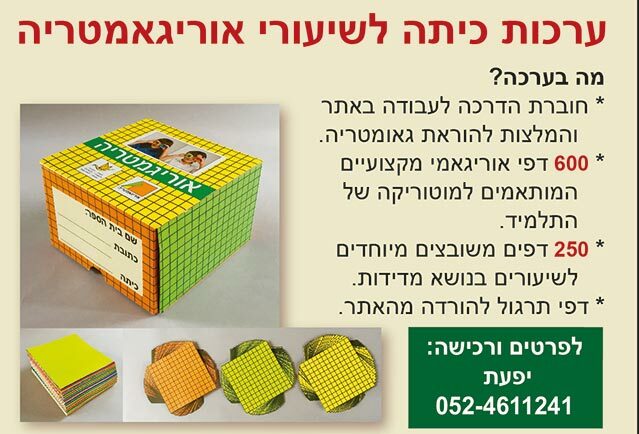 Ensure that the pupils have folded the correct squares. Fold the triangle, as shown. A discussion question: Which quadrilaterals can you identify in your folded shape? 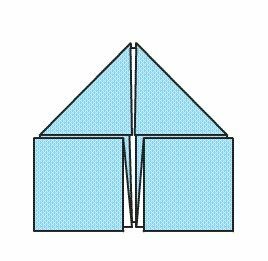 Fold down the triangle to obtain an envelope. 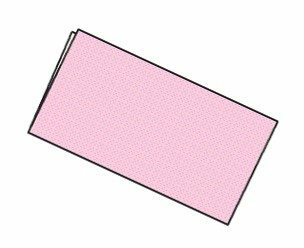 In this lesson, pupils will investigate the properties of a square and rectangle by composition and decomposition in the folding process.